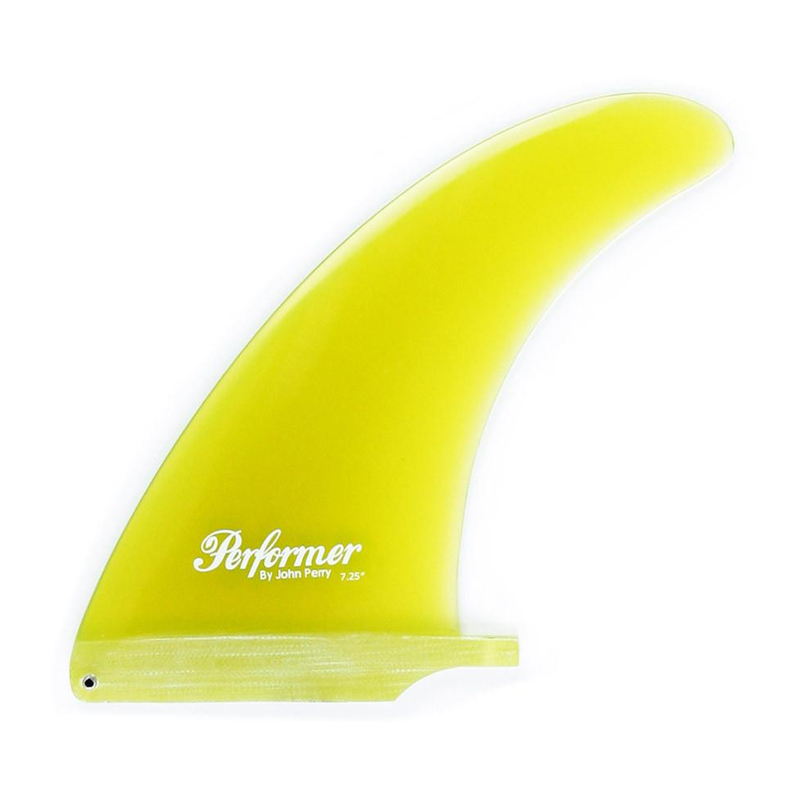 True Ames "The Performer" high performance 2+1 longboard fin. The foundation of the True Ames “The Performer” design is competition & high performance 2+1 longboard surfing. John Perry, one of Santa Barbara’s most notable long time shapers, has lent his hand in fine-tuning these gems, resulting in a powerful, full base fin, featuring an extremely smooth ride. Smaller sizes are 5.45” – 6.25”. Pair up with a larger set of side bites for a great combo. (Not currently stocked). These are the Larger sizes ( 7.25” & 8”) Ideal as a single fin setup. The foundation of the True Ames “The Performer” design is competition & high performance 2+1 longboard surfing. John Perry, one of Santa Barbara’s most notable long time shapers, has lent his hand in fine-tuning these gems, resulting in a powerful, full base fin, featuring an extremely smooth ride. SMALLER SIZES ( 5.45” – 6.25” ) Pair up with a larger set of side bites for a great combo. (not stocked). These are LARGER SIZES ( 7.25” & 8”) Ideal as a single fin setup.